Kylie Minogue is in the music business for 25 years now. Hard to believe that the Neighbours actress who brought us 'The loco-motion' and 'I should be so lucky' finally became a serious pop artist, with some very beautiful ("Put yourself in my place", "Finer feelings") and well-produced ("Can't get you out of my head", "On a night like this") pop songs in her repertoire. 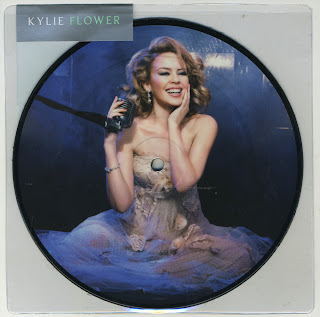 An artist like Kylie is assumed to only perform well under highly produced and perhaps autotuned circumstances, but her latest album 'The Abbey Road sessions' contains some great versions of those wellknown pop songs - and it certainly sounds like her voice is as authentic as the orchestra that backs her up. The song 'Flower' is a new one and this one was released as a single. This picture disc 7" single proves both that Kylie can perform well and that Photoshop is a popular tool to create immaculate photographs with. 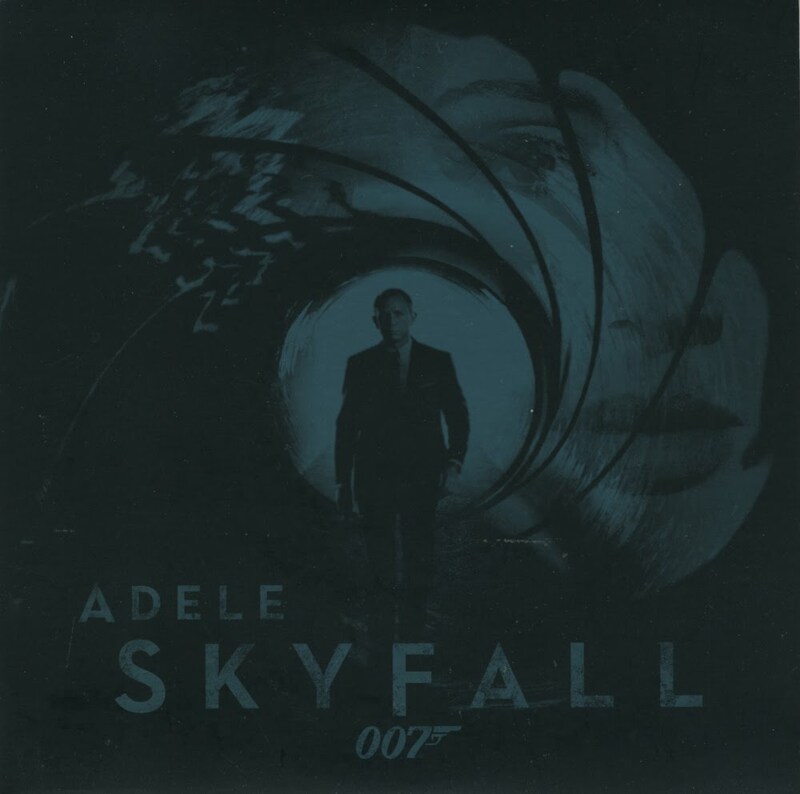 Who can still hum the melody of 'Another way to die', the previous Bond theme? Thought not. The steady decline of James Bond movie theme songs that had started at the end of the last century seems to have been halted when the powers that be decided that this year's Bond song would be performed by a British artist again. And that's the first time since 1985 when Duran Duran recorded 'A view to a kill'. 'Skyfall' is "Bond by numbers", some people commented. With a large orchestra to back her up, it certainly feels like a retro track.